With a fondness for watching portrayals of people making assess of themselves via the drink, Drunken Otaku seeks to share the love and make you laugh. This column will lift its editorial glass to the great drunkards of anime, manga, and video games via short, trading card-like profiles; recall inspiring moments involving characters who over-imbibe; and unlike the rest of the very polished reviews here on Ani-Gamers, offer (hopefully funny) sloppy, drunken, stream of conscious reactions to whatever’s in the DVD player, on the computer screen, under a reading lamp, or controlled by hands which have obviously confused a controller for a glass. 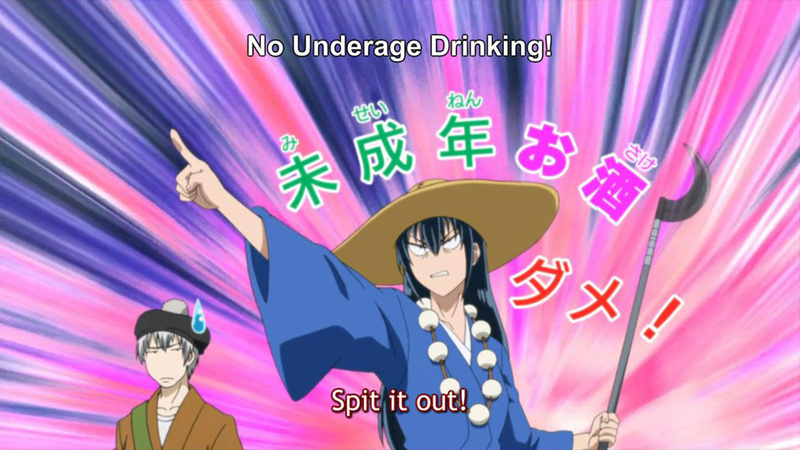 While killing brain cells through drink can be fun, Drunken Otaku does not condone the imbibing of alcoholic beverages in excess (or in any other capacity) unless you are of proper age. Even if you are of proper age, consider yourself warned that drinking in excess can lead to serious injury and health problems as well as unhealthy habits. That said, reading anecdotes and accounts, supplemented by pictures and video, of fictional characters putting themselves in harms way or making asses of themselves in general is absolutely harmless and hopefully very entertaining.